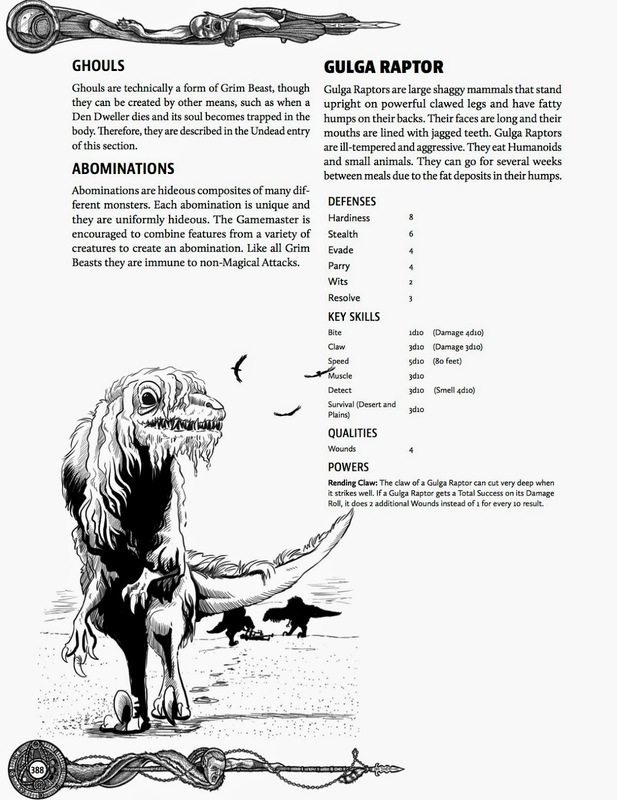 We have an extensive monster section in the book that covers everything from mundane threats to god-like foes from other realms. The monster chapter is nearly 100 pages (1/5th of the entire book) and follows an easy-to-read format as seen to the right. 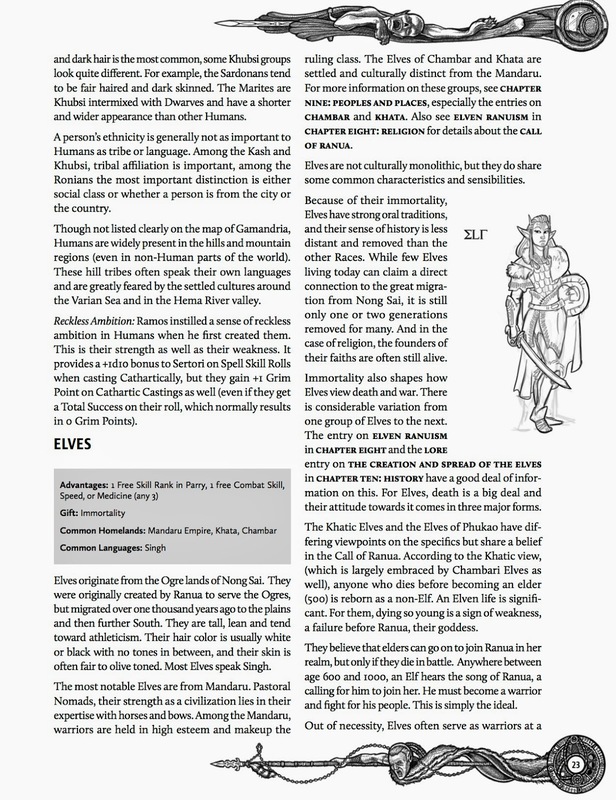 There are nine races to choose from in Sertorius: Human, Halfling, Dwarf, Elf, Hasri, Ogre, Gru, Orc and Kobold. The traditional races are familiar with some new twists and we also introduce unique creatures like the Hasri (reptilian humanoids). 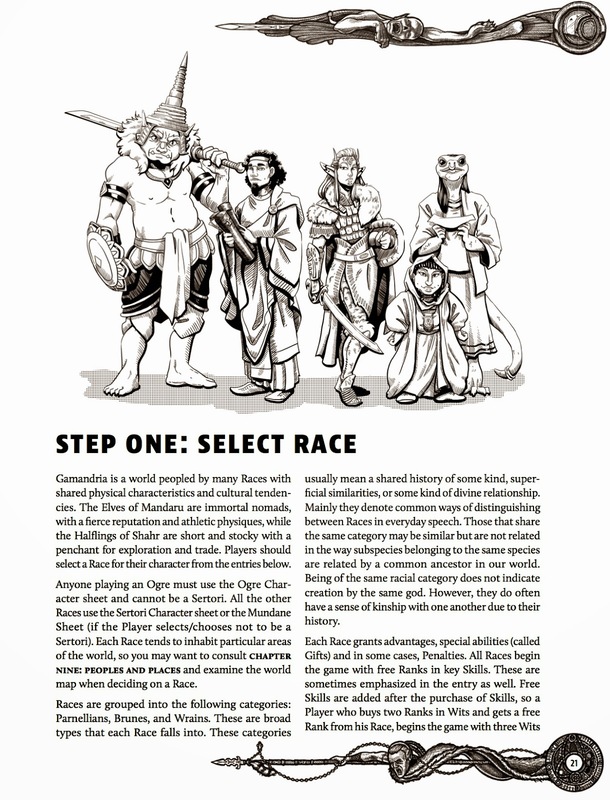 Each race is individually detailed with easy-to-read stat blocks and cultural descriptions. Sertorius is a game about mighty spell casters. 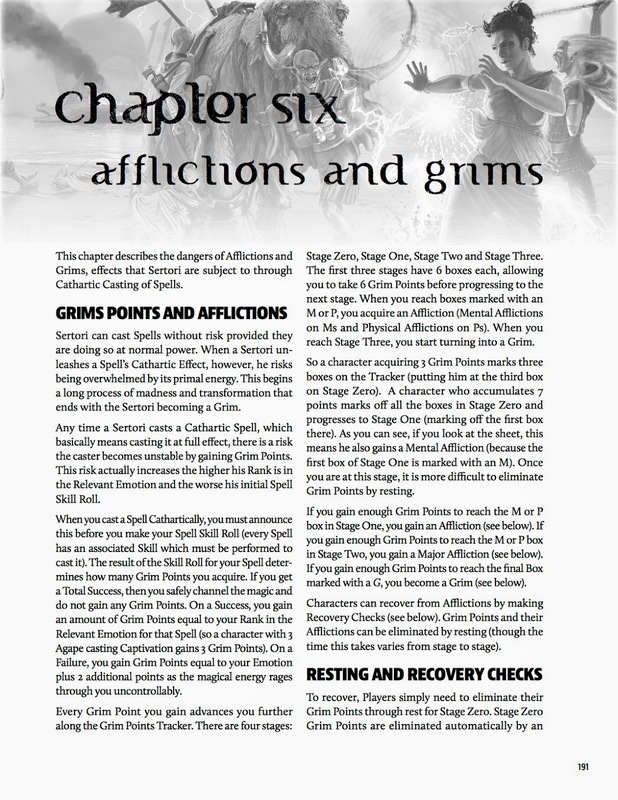 There are 80 spells in the book with complete descriptions and handy stat blocks. In addition there are powerful abilities called Thauma (Miracles) that experienced Sertori can gain access to. 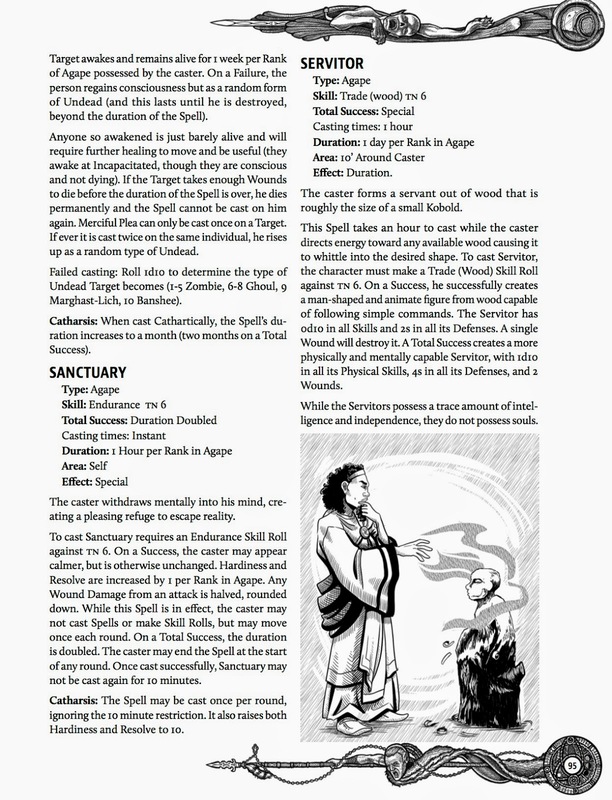 We will also be releasing expanded spell lists for free by PDF for groups that want more options. Spell-casting in Sertorius is easy but comes with some risk. Those who push themselves too far can be overwhelmed by the potent energies they channel, succumbing to mental and physical afflictions. 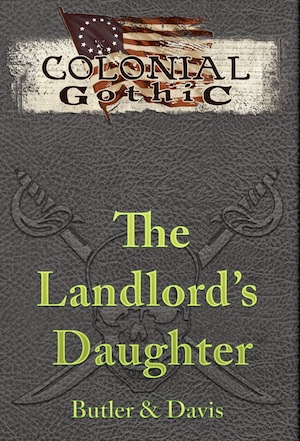 If this process continues unchecked, the Sertori may become a Grim: a powerful supernatural force. 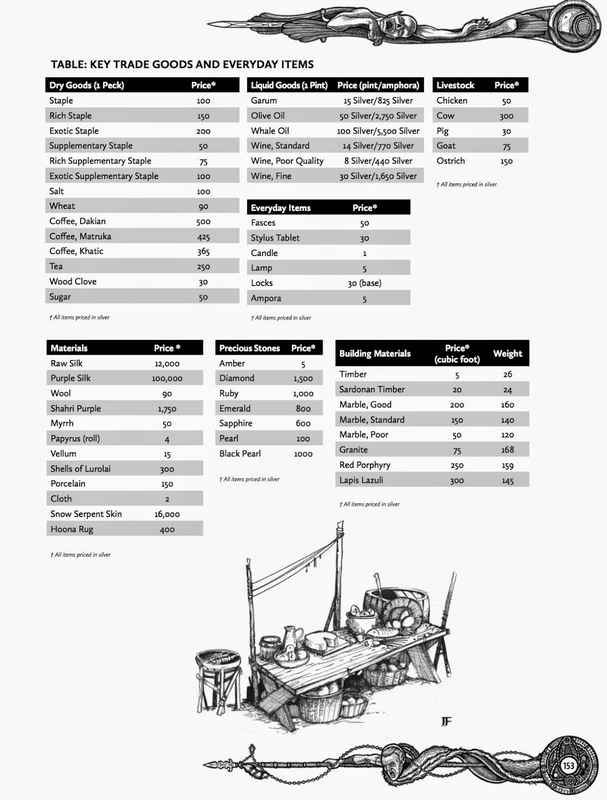 The equipment chapter includes weapons, armor, trade goods, musical instruments, clothing, transport, lists of wages and more. These are just a few of the highlights of the book. 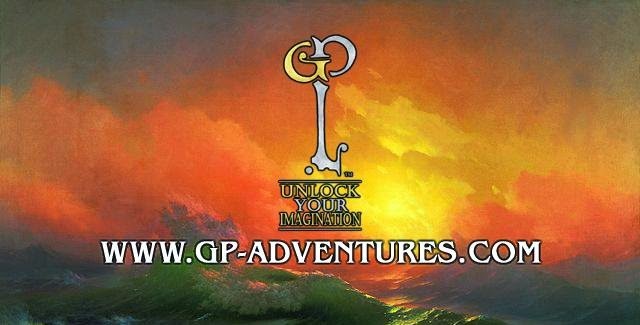 The final layout is 500 pages with fourteen chapters covering Rules, Character Creation, Gods, Religions, Organizations, Peoples and Places, Monsters, Magical Objects, History, NPCs, and more.